What a fantastic day today, water inshore was crystal clear, just under 24deg.C, bait fish were everywhere and going wild. We launched at 05h00 and were back at 10h00. 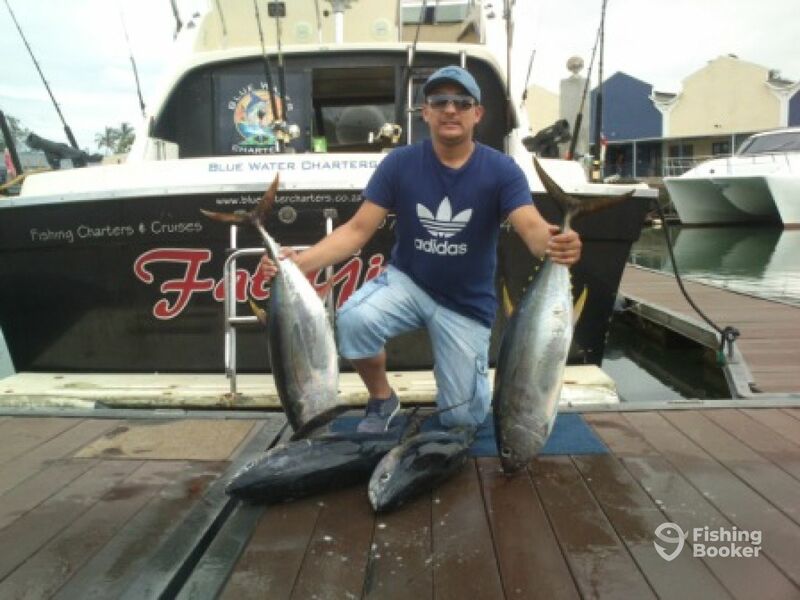 We could do nothing wrong today, the Yellowfin Tuna were just hitting our lures, within minutes of setting our spread we had the first Tuna on and after that we could not get all our lines out and our guest could not even get out of the chair because we had 10 hits in a row landing 7 Tuna one after the other after the other. It was even more fun because we were fishing light tackle today and the Tuna were all decent sizes.